Girl Scout cookie season is finally over in New Mexico! For the past month, we have been spending every weekend sitting in front of Wal-Marts and Walgreens selling cookies with my daughter’s Cadette troop. We worked over 30 hours in total. Just from working the booths and some online sales, my daughter sold 500 boxes. I worked most of the booths as an adult volunteer. You can learn a lot about business working at a cookie booth. You need to ask (really!). There were a lot of times when somebody was walking out of Wal-Mart, totally absorbed. When the girls didn’t ask, they kept walking. When they did ask, the person would stop and buy cookies. Are you asking enough in your business? No doesn’t always mean no. Often someone would say that they didn’t want cookies, but they wouldn’t leave the booth either. In that case, the best thing to do was to ask again, a little more personally. “It looks like you are getting ready for a party, would you like some cookies to serve?” I was surprised at how often that worked! Hard work trumps “cute” in the end. My daughter belongs to a YUGE girl scout troop serving grades K-12. In order for the older girls to get to do the things they want, their cookie booths are separate from the younger girls. I would have guessed that the cute 5 year olds would outsell the slightly awkward pre-teens every time. That was not the case. The older girls did better because they worked harder. 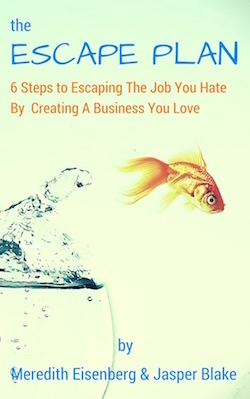 Sometimes it is tempting to go for “cute” in business. You are better off putting the hours in rather than relying on the gimmick. Advertising works. Usually the Walgreens’ booths were a bit quieter. 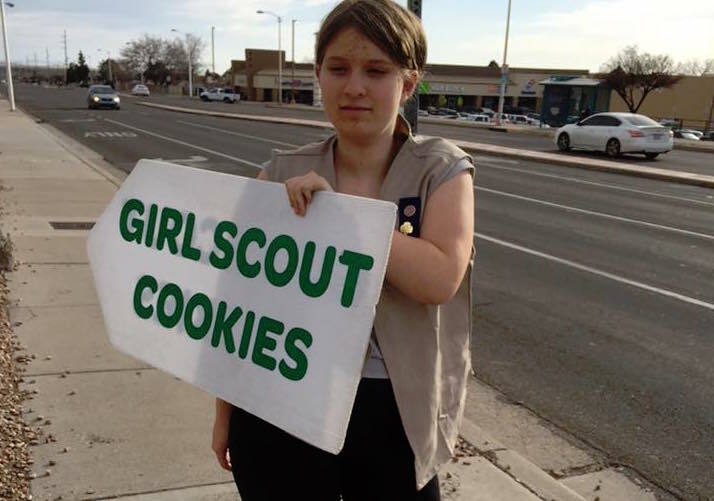 We doubled the number of cookies sold just by standing out on the corner waving signs to attract passing traffic. Are you using ads in your business? How are you getting in front of the people who need to see what you are doing? Planning is key. There were a few girls in my daughter’s troop who sold over 1,000 boxes. They worked the sale from multiple angles They brought cookies to school, they sent them to work with their parents, they sold in the neighborhoods. They also had a written plan before they started out. Do you have a plan for your business? Is it written down? Want some help coming up with a plan for YOUR business? Sign up for a free strategy session and we’ll get started.